By Kyra: For my own contribution to “Five That Shouldn’t Be Forgotten,” here are the most obscure SFF books that I have listed as among my favorites, according to Goodreads. None has more than 200 ratings. By comparison, the most popular book on Goodreads I have listed among my favorites, The Hunger Games, has 4,940,743 ratings. 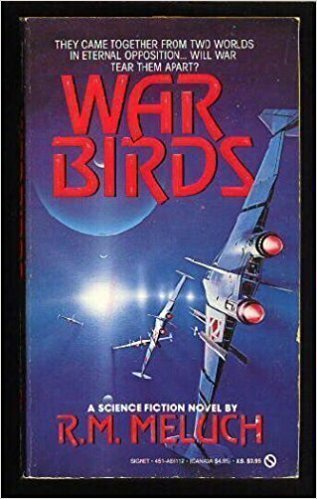 War Birds, by R. M. Meluch (Total Goodreads ratings: 46) A novel about the aftermath of one interplanetary war and the build-up to the next one, touching on culture clash, first contact, fear of the other, and the existential dangers of a technological arms race. 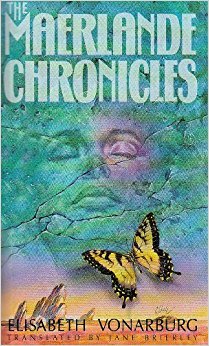 Meluch took her writing to the next level with this 1989 tour de force space opera, and it shouldn’t be forgotten. The Maerlande Chronicles by Elisabeth Vonarburg (Total Goodreads ratings: 153) How is this masterpiece of Canadian SF so obscure, according to Goodreads? Perhaps because it was originally available only in French? But a great translation is now available, so there’s no excuse. Although technically a sequel to 1981’s The Silent CIty, this 1992 far-future post-apocalyptic novel stands on its own quite well. Cultural change occurs in a matriarchal society where women vastly outnumber men. One of the best depictions I have ever read of how cultural shifts actually happen, plus a riveting plot and characters. Don’t forget it! All the Colors of Darkness by Lloyd Biggle Jr. (Total Goodreads ratings: 155) This one comes from 1963. When humans finally develop practical teleportation, they attract the hostile attention of aliens. It falls to one man, held captive on the moon, to convince them that humans aren’t awful. A great piece from an SF master who deserves a wider reputation. The Masters of Solitude / Wintermind by Parke Godwin and Marvin Kaye (Total Goodreads ratings: 163 and 71, respectively) The first two books of a planned trilogy that was sadly never completed, but enough is explored and enough plotlines are wrapped up in these rich, complex novels from 1978 and 1982 that you might not care — I didn’t. 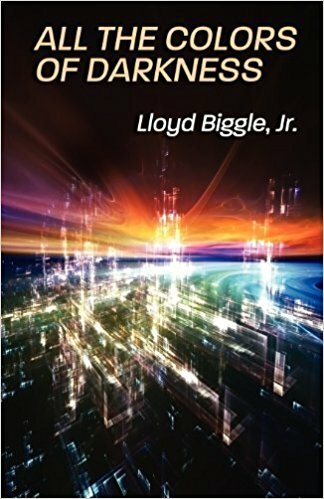 Another post-apocalyptic setting, another set of novels about change; when the “barbarians” of the outer world finally begin talking with the technologically advanced inhabitants of The City, both find themselves altered. There’s so much to these! 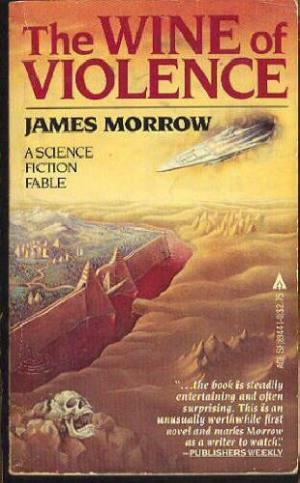 The Wine of Violence by James K. Morrow (Total Goodreads ratings: 179) Can this really be obscure? Can James K. Morrow’s first novel, and one of his finest, really be falling down the memory hole? Say it isn’t so! When a spaceship crash lands on a harsh planet, they find a utopia whose inhabitants are incapable of murder, assault, or aggression. But that utopia is under threat from external enemies … and from the novel’s protagonists. A true classic from 1981. This entry was posted in Sercon and tagged Kyra by Mike Glyer. Bookmark the permalink. How can eh be obscure? Because in the era before online stores where you can buy digital books, only a very small number of books got second printings. And being OOS (Out Of Stock) meant a publisher could keep control of rights to a given work for decades if they wanted to do so. Emma Bull’s War for The Oaks came out as a MMP on Ace in1987 but was quickly OOS for well over a decade. Tor got the fights to it and ended up releasing it as a trade paper even though I’ve two hardcover editions, the one done by SFBC and a library edition. So what chance is a bog standard MMP book have of getting a new edition? Next to zero when Holdstock’s Mythago Wood was unavailable for decades. The Maerlande Chronicles came out in French during the period when I was still actively keeping up my French reading. Loved it. Which reminds me that I should get in touch with Marv Kaye again sooner, rather than later. In the mystery field, his BULLETS FOR MACBETH is/should be a classic.